Most people connect South Africa with a safari tour. Elephants, lions, rhinos, buffaloes and leopards (together the “Big Five”), but also hippos, numerous species of antelopes and an enormous variety of colorful and interesting birds belong to South African’s beautiful terrestrial fauna. Who would there come up with the idea visiting South Africa for whale watching? To be more precisely, my journey to South Africa led me to a small place called Plettenberg Bay, located at the famous Garden Route along the South African coastline. I already noticed, when passing through the small town, that whale watching has a central position in Plettenberg Bay. Stone sculptures like a whale fluke or dolphin sculptures decorate the streets of the town. I knew immediately: I am right here. However, a few more days had to pass until I saw my first whale in South Africa. In total I went three months to Plettenberg Bay for whale watching. After my busy PhD studies in Spain I just needed some time off to think about my further steps in my career path as a biologist. I mention the three months because of the fact, that for whale watching you need a lot of patience and time. In contrast to a zoo, you never know when and where to observe animals in the wild. Of course, there is a whale watching season when the marine mammals pass the South African coastline. Then you know the chance to see a whale is high. However, as the whales live under the water surface and move as a free animal, obviously, more time is necessary to spot whales in their natural environment. Furthermore, there are good whale watching seasons with many whales, and there are season with fewer whales. So you have to know and accept, a lot of patience is necessary to observe whales in the wild. Unfortunately, I visited South Africa in a season with few whales. Why there were only a few of whales in that season is still a puzzle. Even for whale researchers. Is there a connection with global warming? Or did any disease break out that decimated the population? Or did the whales find a new migration route? Be that as it may, in 2015 when I was in South Africa, the people from whale watching companies told us that in that year unusually few whales pass Plettenberg Bay. That was bad luck for me. But this is nature. Maybe because of that every observation was so special for me. 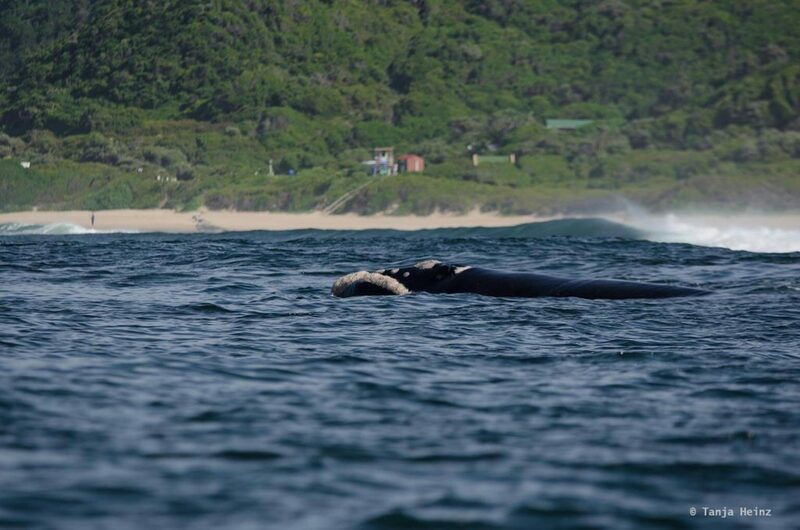 In Plettenberg Bay there are three different whale species. 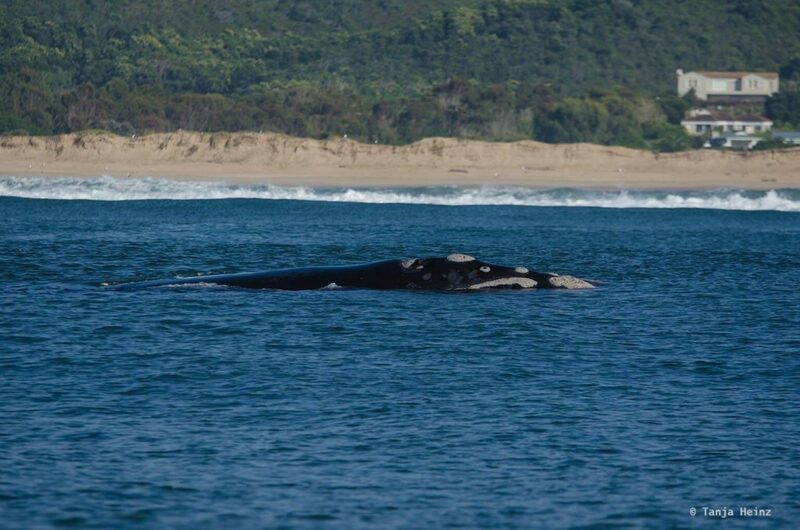 However, I have to mention that humpback whales and Southern right whale are not resident in Plettenberg Bay. That means, you cannot observe them the whole year. 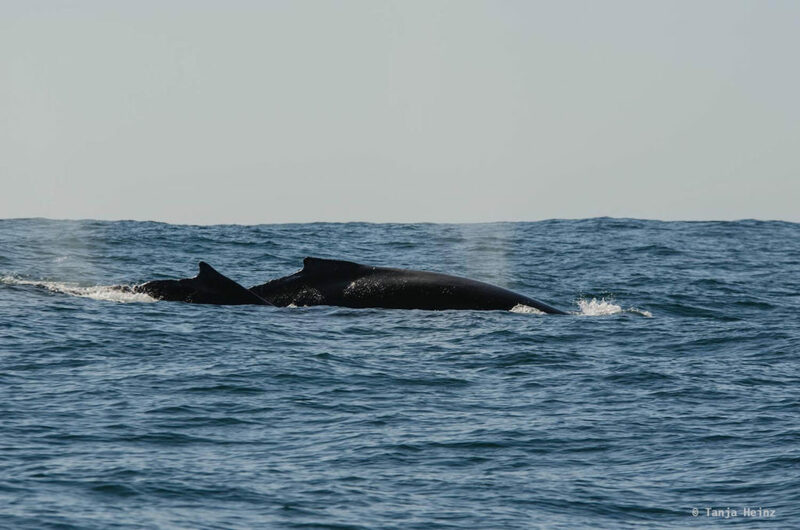 Bryde’s whales, in contrast, are resident in Plettenberg Bay, and thus, can be observed throughout the whole year. 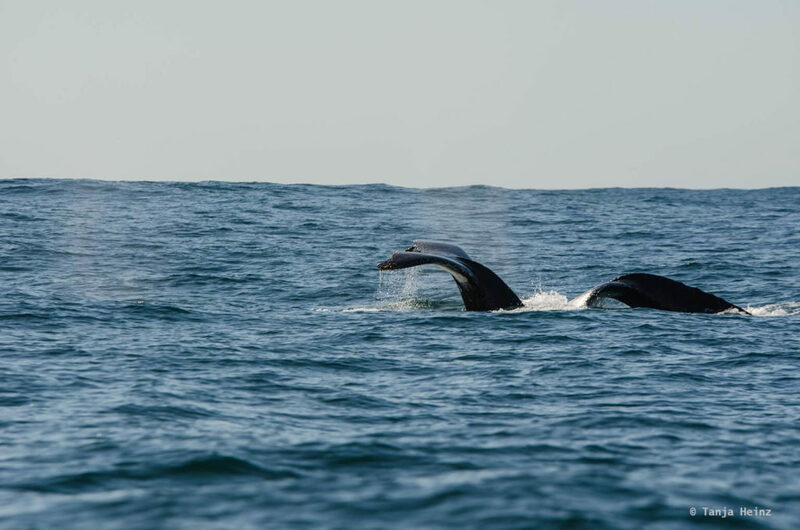 When is the best time for whale watching in Plettenberg Bay? 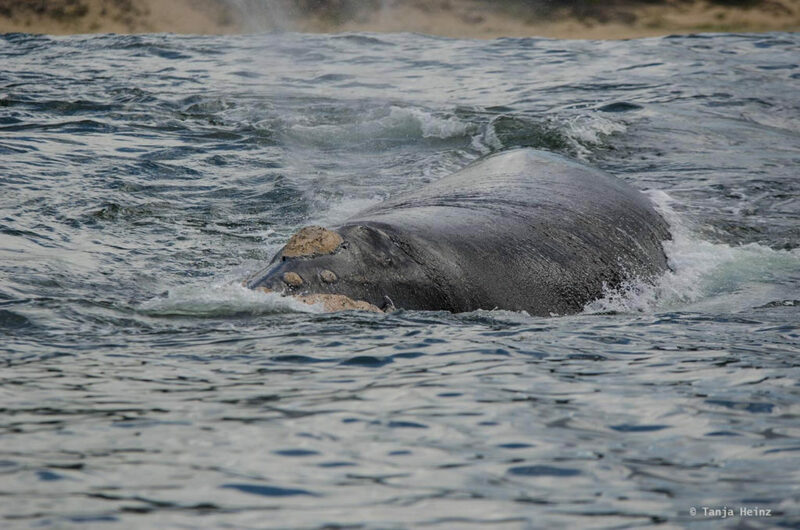 The main “whale season” in Plettenberg Bay starts in June and comes to an end between October and December. 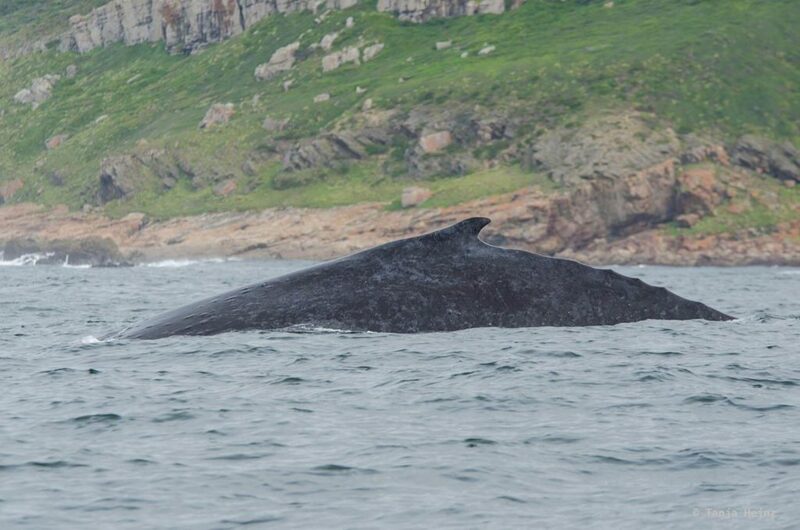 That means, the chance to see a humpback whale or a Southern right whale is highest between June and October. 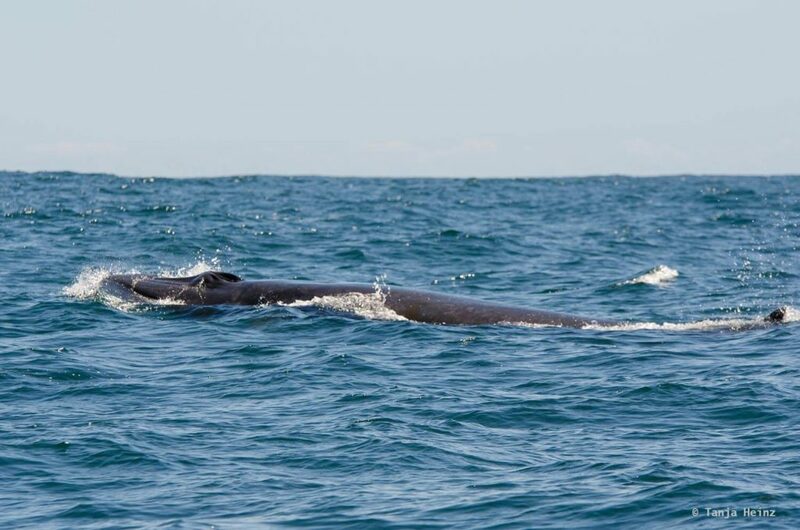 Bryde’s whales are resident, but they are very shy animals and difficult to spot and observe. 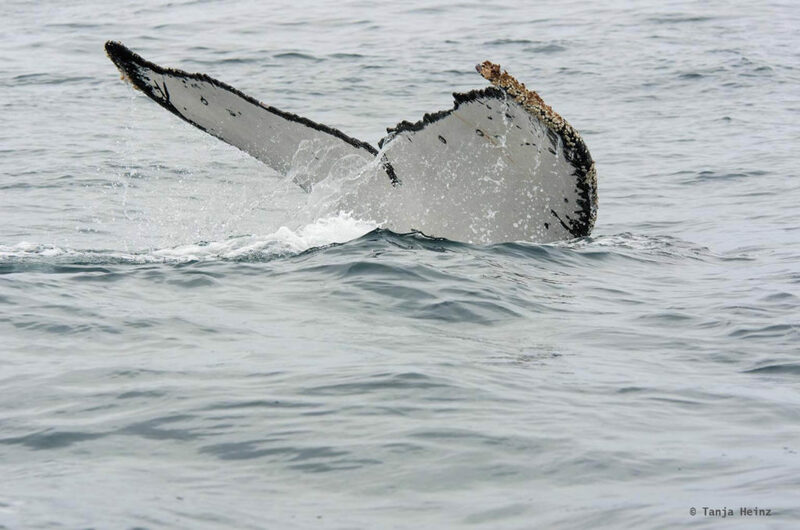 Therefore, whale watching in Plettenberg Bay is especially determined by humpback whales and Southern right whales. Where do the humpback whales migrate? Humpback whales migrate every year on the Southern hemisphere in winter to warmer tropical and in summer every year to Antarctic waters. Humpback whales migrate in the summer months to the Antarctic because of the abundant food availability. In warmer tropical waters around Mozambique and Madagascar they reproduce and give birth to their calves. During their migration and in their breeding regions they eat little or nothing. 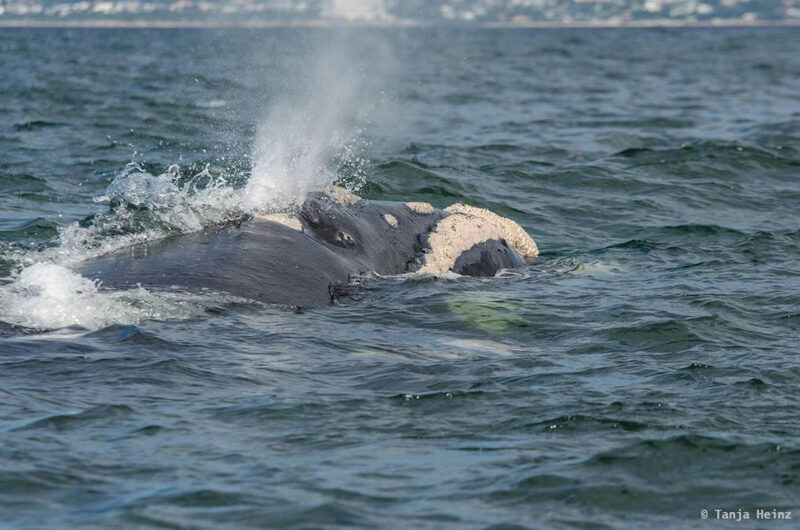 However, it is worth to mention that there are humpback whale populations in South Africa that are more resident, and thus, can be observed the whole year. In recent studies researchers found so-calld “super-groups” in Southwestern South Africa. But why? Maybe because of the abundant food availability in these waters. I’m excited to hear more about these „super-groups“ in these waters in the future. 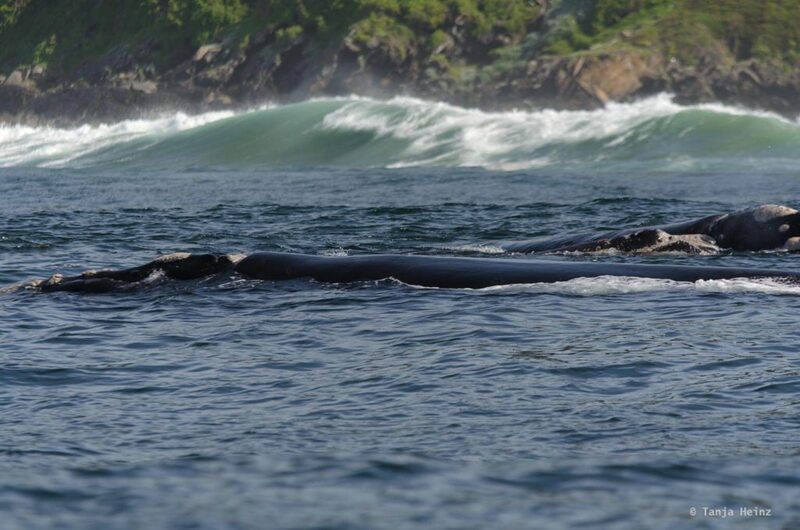 Nonetheless, in Plettenberg Bay there is no resident humpback whale population. Why are humpback whales so popular among whale watchers? Humpback whales are very acrobatic marine mammals. They launch themselves with their massive bodies out of the water and then slap back on the water surface with a splash. Sometimes they even twist and turn whilst in the air. This behavior is called “breaching”. Why humpback whales breach is not known yet. Maybe they try to get rid of parasites on their skin. Or maybe they just play or it is a way of social communication. Another typical behavior of humpback whales is „spyhopping“ when the animals raise their heads clearly vertically out of the water, probably to inspect the environment. When “lobtailing”, humpback whales slap their tails on the water surface. 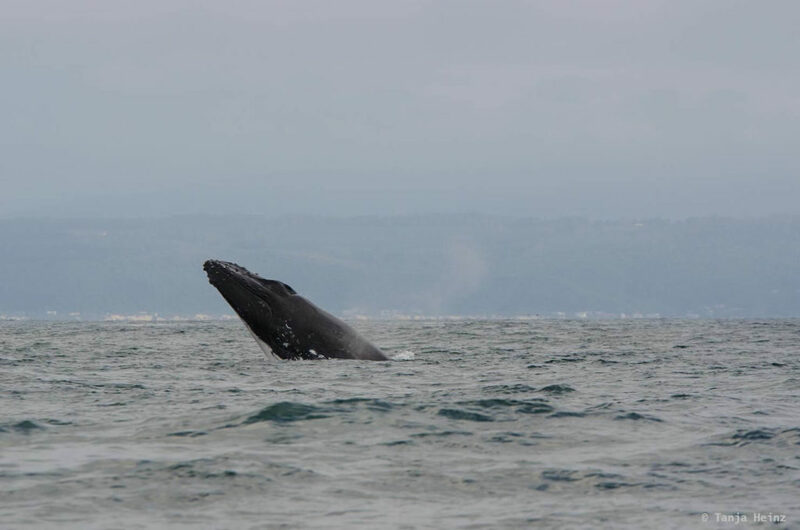 Humpback whales migrate close to the coast, however, not as close as Southern right whales. Southern right whales are probably not as famous as humpback whales. However, they are not less popular among whale watchers. Southern right whales are very slow moving animals, and thus, “whale-watching-friendly” to observe. With their characteristic calluses they are easy to recognize. “Breaching”, “spyhopping” and “lobtailing” also belong to their behavior repertoire. In constrast to humpback whales, Southern right whales reproduce during their migrations close to the coast – even in Plettenberg Bay. 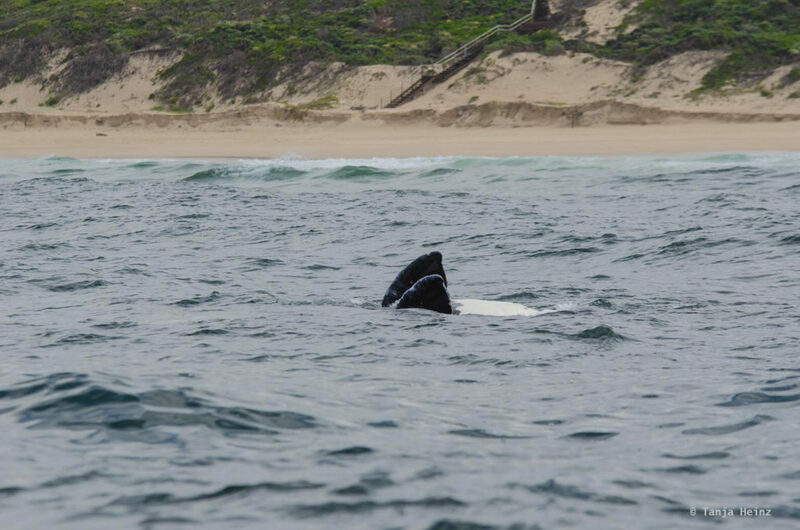 The first Southern right whales appear in June/July. The number of individuals passing the South African coastline increases in August, September and October. However, it decreases again in the following months. Little is known about their further migration route. During my stay in Plettenberg Bay I have not seen any Southern right whale breaching. However, this does not mean that they do not breach. 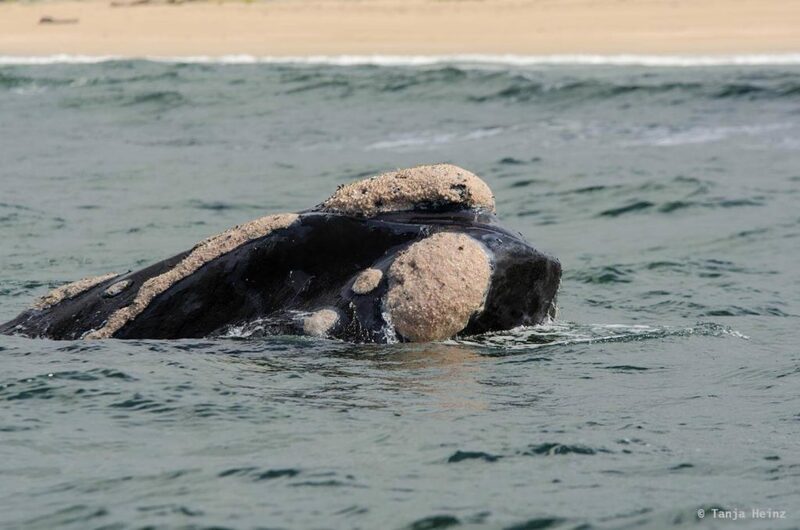 In that year there were just not as many Southern right whales passing South Africa, including Plettenberg Bay. It was just “bad luck” for me. Nonetheless, the Southern right whales gave me some other short insight into their life. Once a mother and her calve were passing the whale watching boat. Her calf was so playful and moving from here and there. When the calf was swimming on its back it seemed to me as if it was waving to us whale watchers. Just amazing seeing these animals in the wild! At another time we saw two whales at one place. It appeared to me that the two whales were not leaving their position. At the beginning I thought they were migrating VERY slowly. But no. 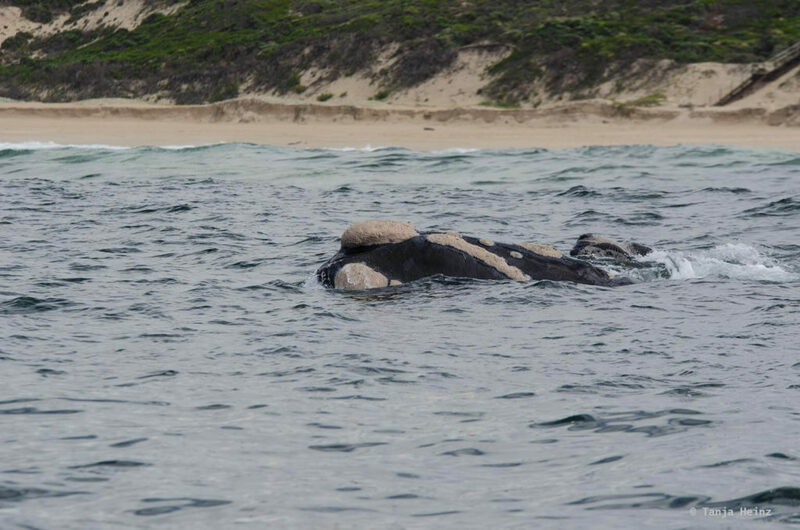 These two Southern right whales were mating. Of course it is important not to disturb the whales. 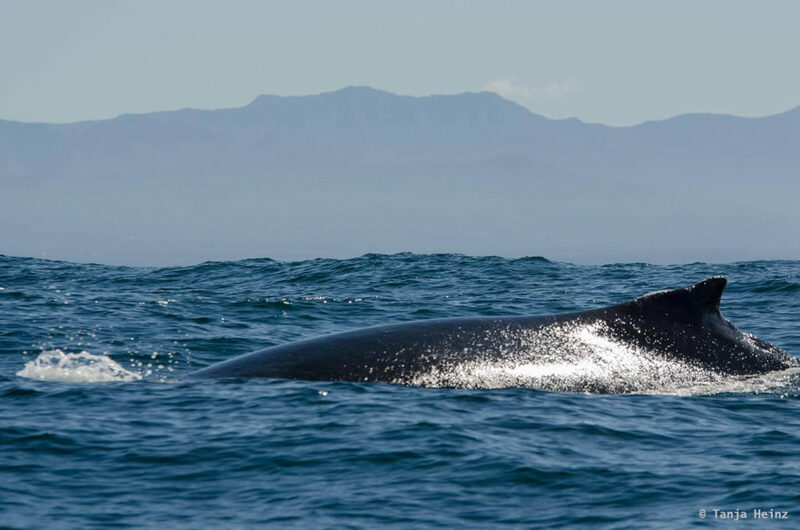 The laws in South Africa are very strict with respect to whale watching (a Bryde’s whale researcher told us). Fortunately, the whale watching company was very cautious. We observed the whales for some time from distance and left finally again. Because Southern right whales migrate very slowly and because they stay for a relatively long time at the water surface, it is thus easy to observe them from land. However, if you do, you need good binoculars at some places. Which whales can you observe when it’s not “whale season”? Like I mentioned above, when it’s not “whale season” there is only one resident whale species. That is the Bryde’s whale. However, Bryde’s whales are very shy animals. They appear only for a very short moment at the water surface and then disappear again. Furthermore, they are not as acrobatic as humpback whales and Southern right whales. 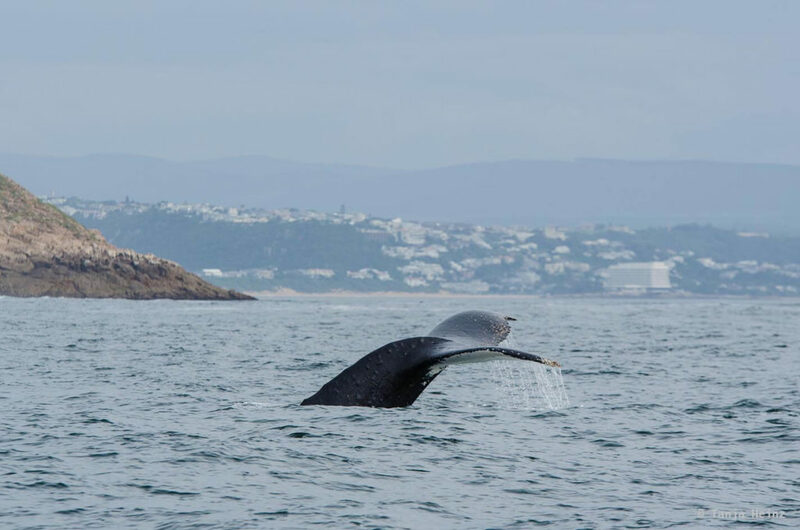 Where can you go for whale watching in Plettenberg Bay? For whale watching I can highly recommend Ocean Blue Adventures. They offer tours the whole year. In winter the tour company is focused on whales, while in summer on dolphins. Ocean Blue Adventure not only tries all the best for the custumers to give them memorable encounters with the whales, they also provide information to the whale watchers. It is also worth to check their blog to find some more news about the whales in South Africa or some thoughts about what means conservation. During my time in South Africa I participated in a Citizen Science Project. That meant, when I was on a whale watching boat I took some notes, like for example, when and where we observed whales, but also recorded their behavior to an approaching boat. I shared all photos from my encounters with the Virtual Museum Website from the Animal Demography Unit. 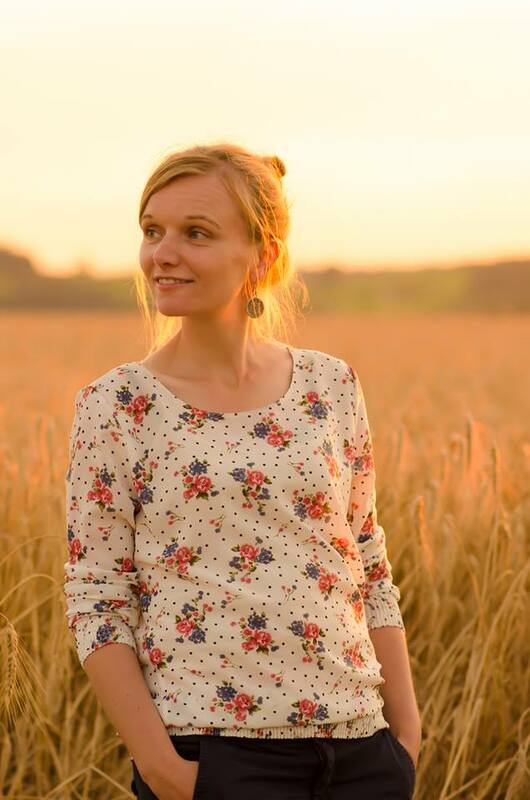 The aim of this Citizen Science Project is to record biodiversity and expand our knowledge about animals and plants. If we know more about all the creatures that surround us, we are more willing to protect them.